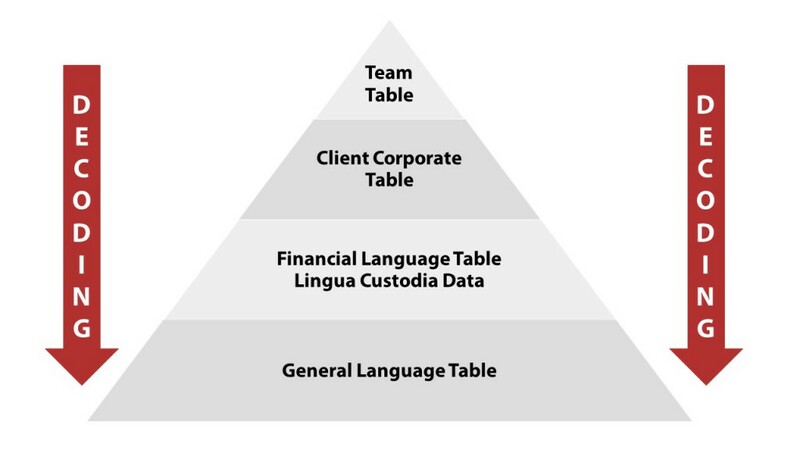 Each company and even each team within a company, uses its own very specific terminology, naming conventions and acronyms even when it relates to financial documents. It is therefore very important to use a translation tool that has been fully customised for each user. This is why Lingua Custodia has developed VERTO, a fully customisable tool with the specific ability to “learn” from the texts previously translated by its users. We rely on machine learning and train our engines with the documents that were translated in the past by our clients so that it can learn their specific terminology. It’s also a dynamic solution that improves with time as our clients are using it and integrate their feedback. 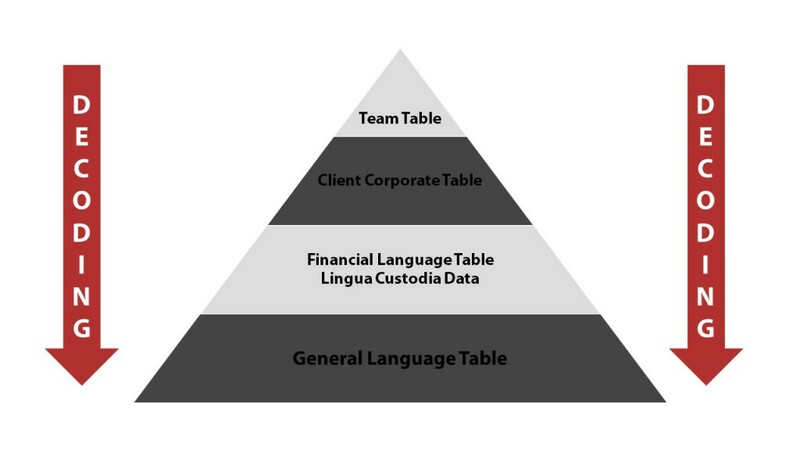 VERTO translation software is built using several statistical tables based on general language data, Lingua Custodia financial language data and Client data in order for the software to be specifically designed to translate your documents. After the solution has been trained, VERTO can be accessed through a simple web interface. VERTO will call successively a language database and customised translation software to provide the best translation. Once a document is sent into VERTO for translation, it is split at a sentence level. VERTO then checks in a language database if the exact sentences have already been translated in the past, in order to leverage those. For the rest, the customised translation engine will propose the best translation. VERTO is a secure interface and you access your customised translation solution through your specific User ID & Password. Simply choose your source language, your target language, select your document and launch the translation.